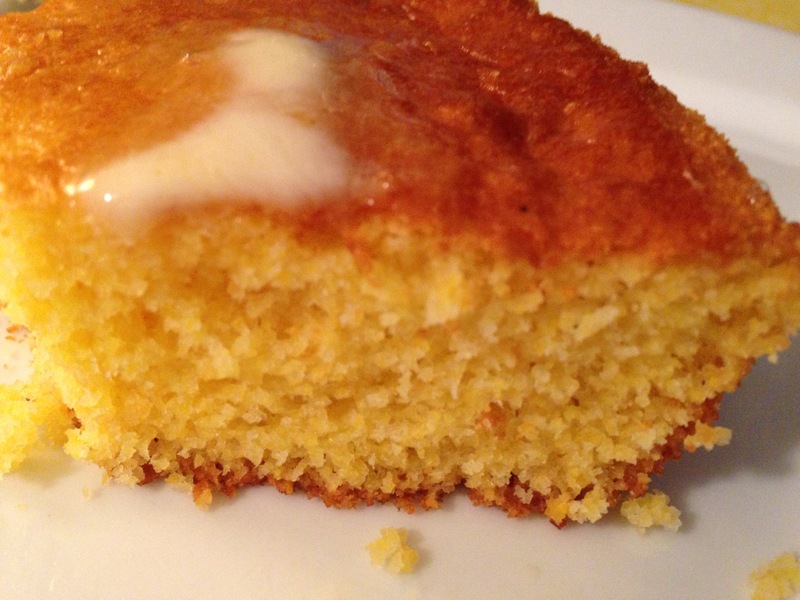 A cast iron skillet makes cornbread (among other things) so much better! I know, I know, …where have I been?! Everybody, EVERYBODY has a cast iron skillet. But now, (thanks to my daughter, who helped me see the benefits) I will be getting one. Maybe even before I unpack all those boxes from our move? . 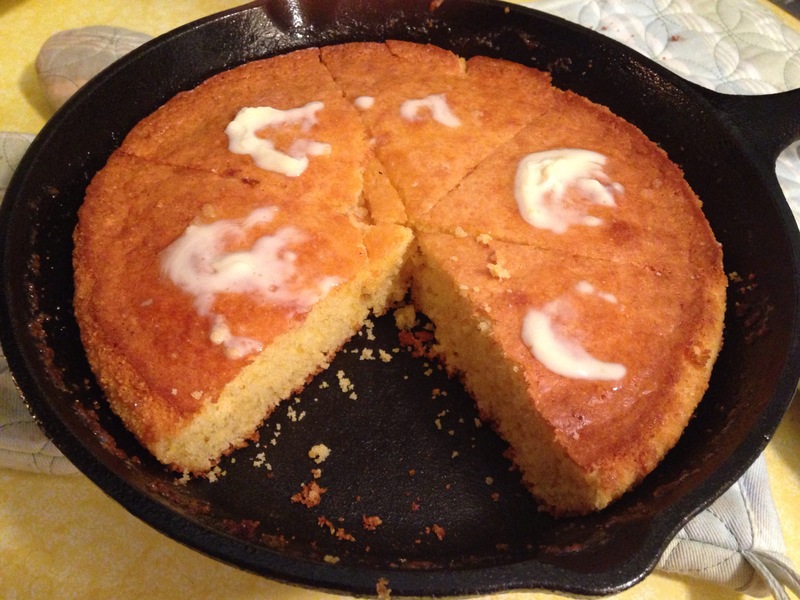 . .
Oh congrats on the cast iron skillet, they do make great cornbread and so many other things. Fried chicken is so good in cast iron. Oh man, Daisy! You’re photos have me droolin’ and slobberin! I don’t have a cast iron pan, but it appears that I need one. Really bad! 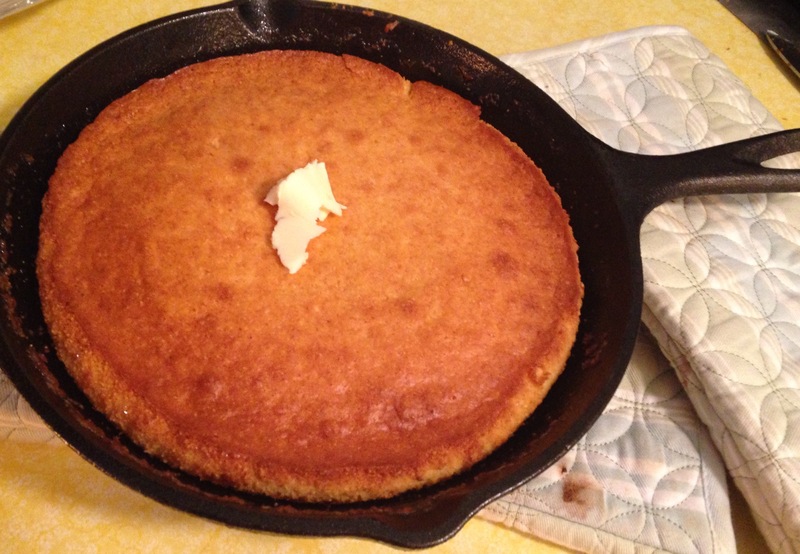 Now all we need is to share some recipes made just for that skillet! Thanks, Vivian! Btw, i read your fascinating post on safety precautions when traveling in the desert. Lots of good info there. Thanks for sharing that! I will have to try it. Cast iron skillets changed our lives, too! I think we finally came around when we realized we could get one pre-seasoned–that business of seasoning the skillet always seemed daunting. Yes, that’s one of the reasons i didn’t buy one years ago. and biscuits baked in one are incredible. Oh you have my mouth watering with those pics! And alas . . .I , too, have no cast iron skillet! Thank you for giving me a peek at what I’ve been missing without one! Haha! Happy cooking , Daisy! Your comment made me laugh – I am actually very surprised that I’m not the only one without one. I found that walmart has the 12″ one for $20 so I’m hoping to get one before the end of the year. My daughter says she’ll believe it when she sees it (because I’ve been saying I’m going to get one for a long time). I might just do it to surprise her! Ha! I have several cast iron skillets which I’ve had since I was married over 62 years ago. Unfortunately, I can’t lift anything that heavy now but if I plan ahead, I can get my daughter to put it on the stove for me. They’re just wonderful. OK, Daisy, I also do not have a cast iron skillet. But I always look them over when I pass through Homegoods! 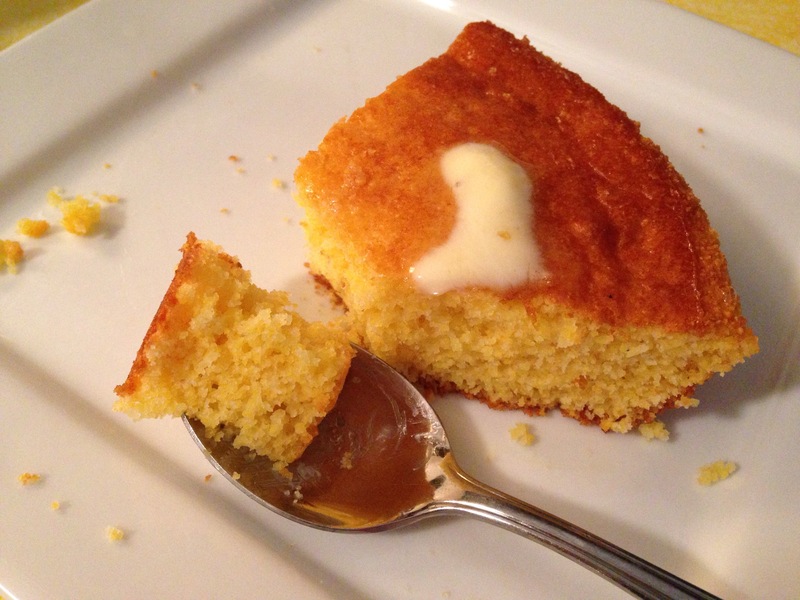 I may just have to go get one– the cornbread looks super and I loved Cate’s idea of using a skillet of biscuits! Show us what you cook up when you get one! I’m looking like a blog stalker since I am posting all my replies at once. I have been teaching at a little country charter school for the last month. Long story, but they needed someone to fill in. I have been reading your blogs, but between lesson plans, grading papers, and remodeling our upstairs time is limited. I just chuckled when I first read this. 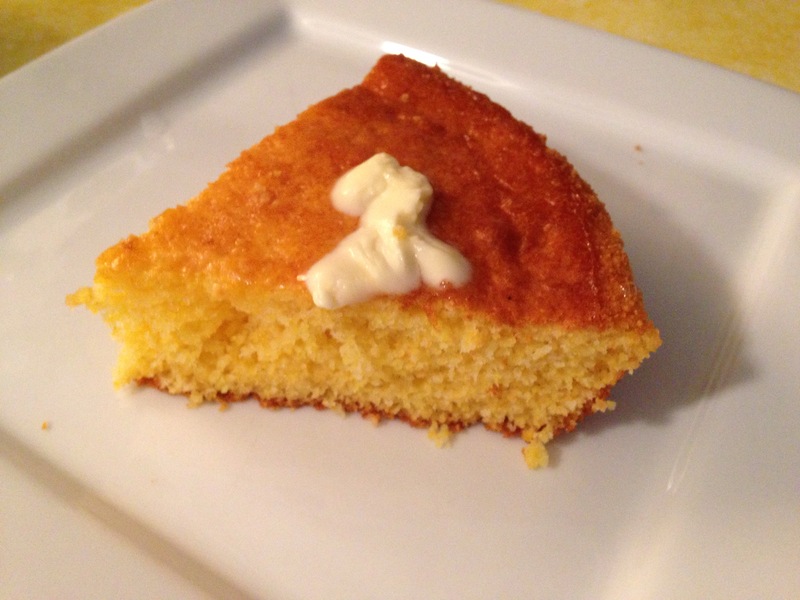 I love your refreshing honesty, but girlfriend, I know of no other way to make cornbread like my grandmothers did. In fact, I inherited my Nanny’s cast iron skillet, my Mama’s (my grandmother) and her grandmother’s skillets. So I am set. I should send you our favorite recipe for a one skillet meal. My kids love it! Thank you for always making me smile!